On the REED List Page select Edit from within the Open REED. Select Secondary from Gray Sub-navigation bar. 1. 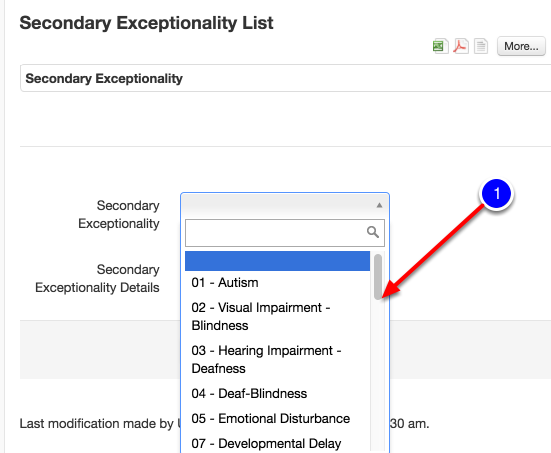 Select Secondary Exceptionality Area from drop down. 1. Select Secondary Exceptionality Details as appropriate. 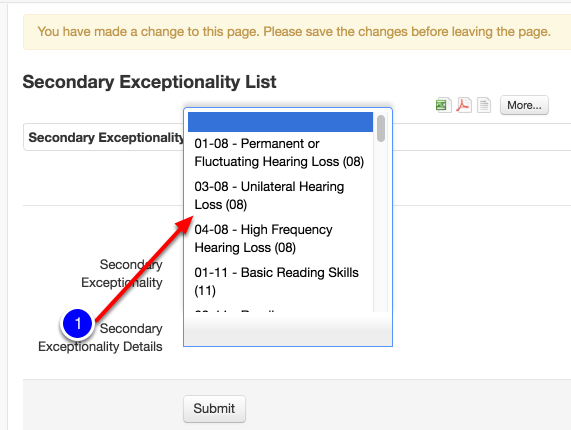 Continue Adding Additional Secondary Exceptionalities as appropriate. If all areas of data have been completed select Close in the gray sub-navigation bar to complete the REED process.